YES! 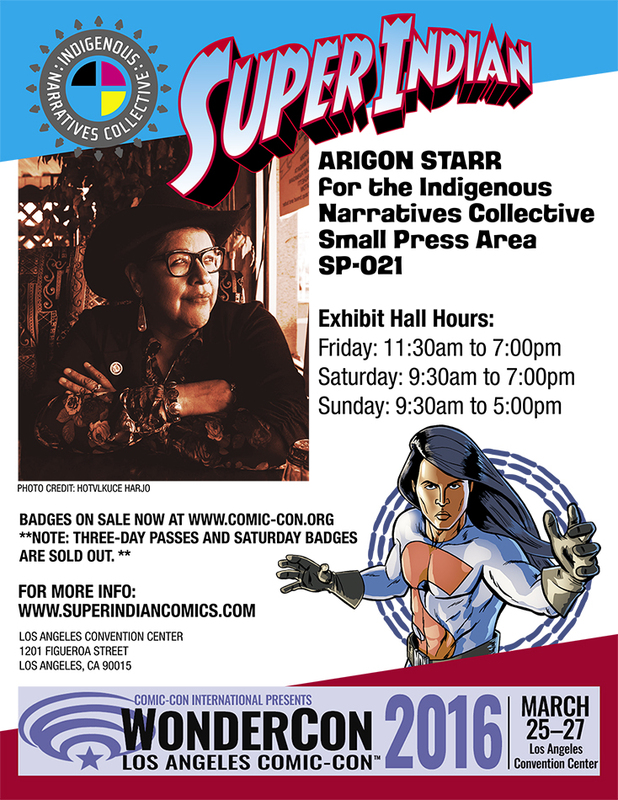 Arigon Starr will have a table in the Small Press Area in the Exhibit Hall at this year’s WonderCon. As most of you know, WonderCon is a part of Comic Con — yes, the big convention everyone talks about in San Diego. The Convention started in San Francisco, spent a couple of years in Anaheim and now will make it’s big debut at the Convention Center in downtown Los Angeles. She will be there all three days and we hope to meet a lot of you there! Here’s a flyer with more details. Next Supporting the Water Protectors in Standing Rock!